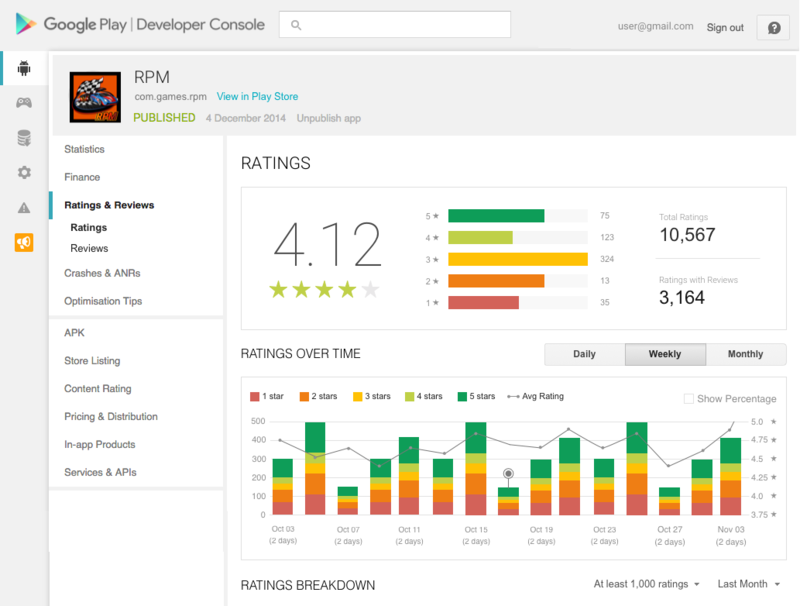 The new reviews page highlights the same common themes that the Play Store shows on the consumer-facing side of things. These only appear if users have left enough reviews to detect a trend. 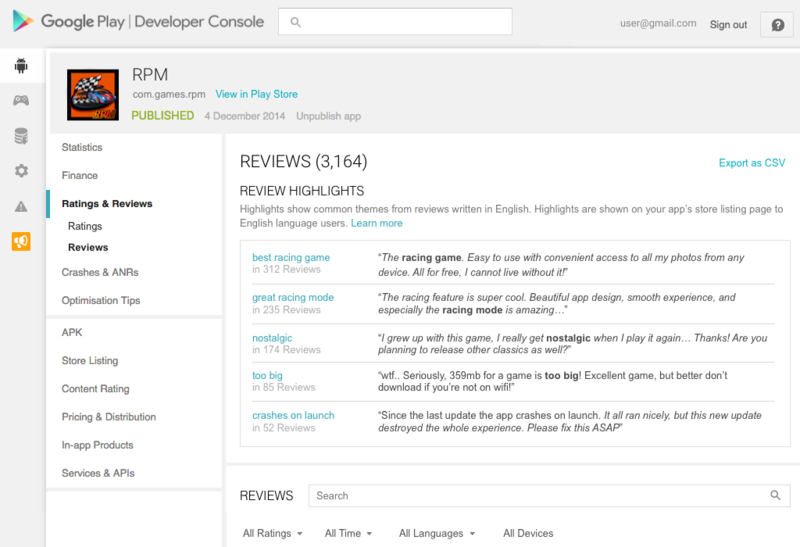 Alternatively, developers can now search the text of reviews to find particular keywords of their own. Some of the changes to the review page help troubleshoot issues. The screen shows device metadata that can help identify problems related to certain hardware specs. And developers can opt-in to receive an email if a user updates their review or rating, as they may do once they see a particular issue fixed. The full explanation is available on the Android Developers Blog below.